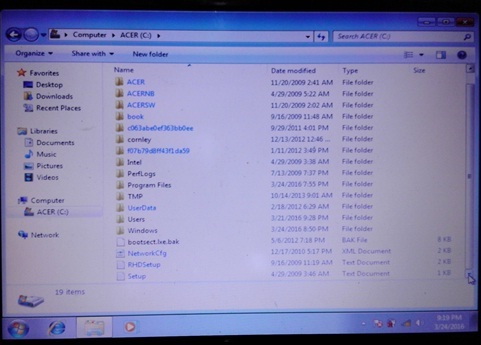 Home Software troubleshooting Windows 7 How Do I Remove the Windows.old folder in Drive C:? How Do I Remove the Windows.old folder in Drive C:? 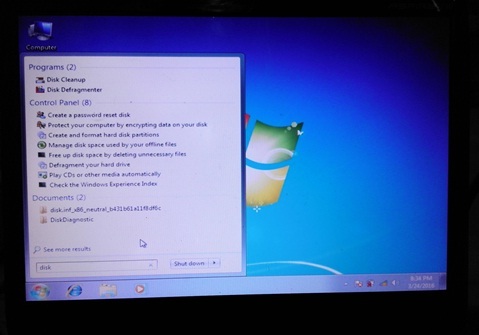 If you upgraded computer from windows xp to windows 7 or from windows 7 to windows 8, then you chose custom installation and didn’t delete the old partition all files will stored in old folders after you successfully installed your windows operating system. 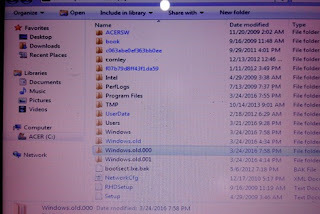 You check it by opening your My Computer Icon/then click drive c: /then scroll down below portion of your screen you will see a folder called windows. old or windows. old. 000. This will cause to full the drive c: partition or your entire capacity of your hard drive or HDD. 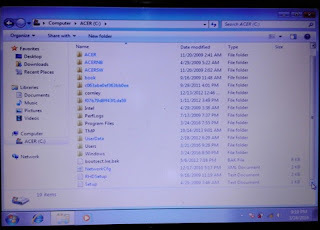 Computer users retain these files or partition during installation because he wanted to save and copy the important files during formatting or re-installation of windows operating system. 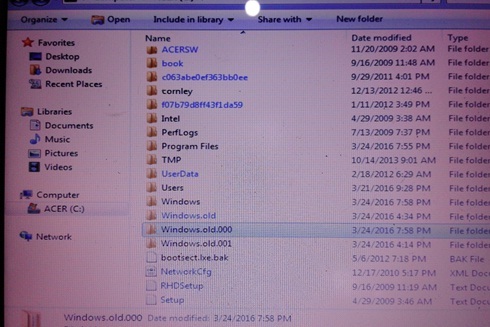 But be aware, you can’t use your previous programs you installed in windows old, but only the files located in users and the my documents. One thing that it is be sure that your files will be safe if you’re using another drive like Solid State Drive (SSD) Or HDD connected as drive d:, meaning you need two drives connected to your computer during Windows Installation. 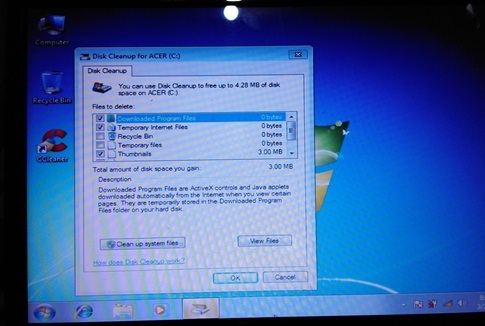 How to delete windows old using disk cleanup of windows 7? 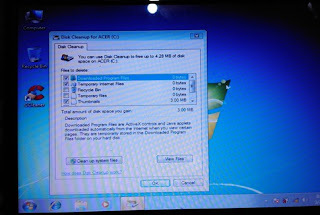 Click Start button, then in search bar type “Disk Cleanup”. 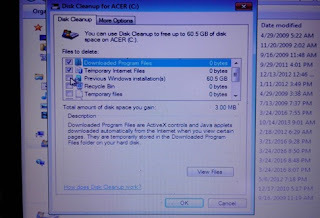 If you see now the Disk cleanup, press enter key. 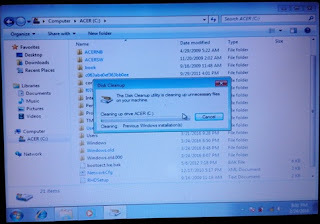 Wait for a while until the disk cleanup windows will display. 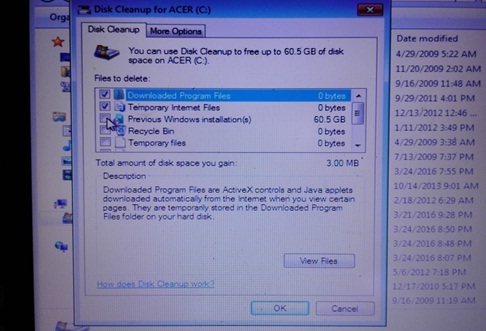 If you see now the disk cleanup in your screen click the box or checkbox all files that you want to remove, then click the button left side below called “Cleanup System Files”. Then wait for a while until another disk cleanup window will display, for you to select/checkbox “Previous windows Installation”. Then after you Check box it click ok button below. 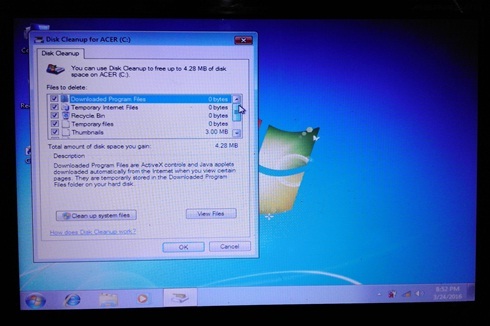 Then you will see a pop-up windows said “Cleaning Previous Windows Installation”. Then wait a minutes until it finish, when it finish go to My Computer Icon/Click drive c:/then scroll down below windows, then you will not see again the Windows Old. Do not use other utility like cccleaner, this program can’t remove using the include option, it will waste your time in doing it. 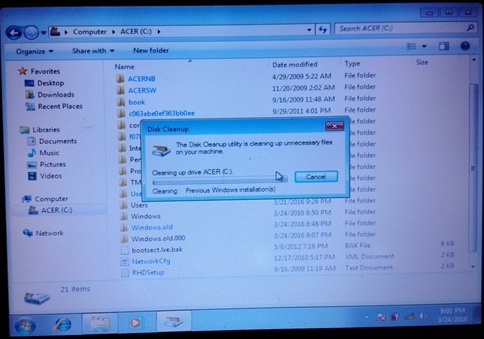 Command prompt or CMD in windows 7 and 8, can’t remove windows old, its better to use the Disk Cleanup Utility.